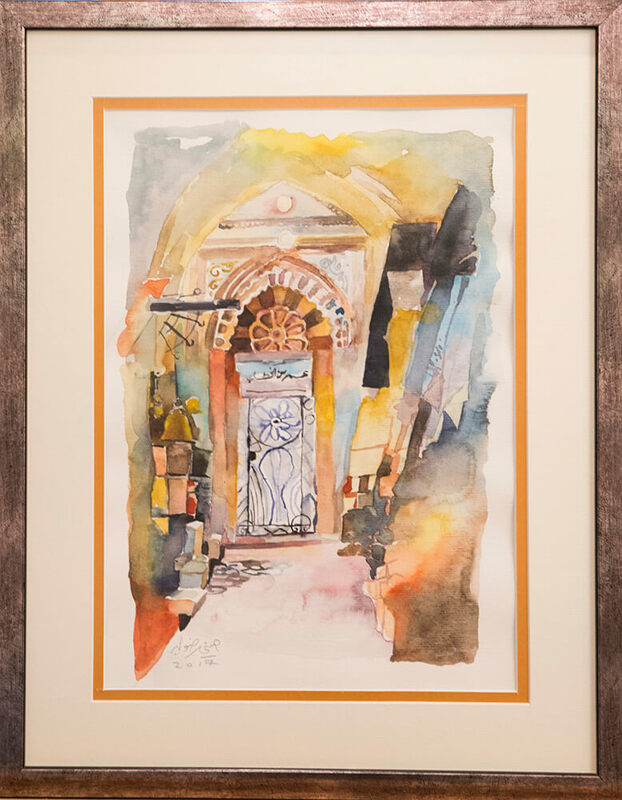 An original watercolour painting of the entrance to the Mosque of Omar, which lies next to the Church of the Holy Sepulchre in Jerusalem’s Christian Quarter. It was built in the 12th century after Caliph Omar ibn al Kuttab was invited to pray at the Church but declined in order to avoid setting a precedent. The Mosque was built by Sultan Afdal bin Saladin to mark this event.